Body language consists of the positions, gestures, and whole body movements we use to share how we are feeling or what we are doing. 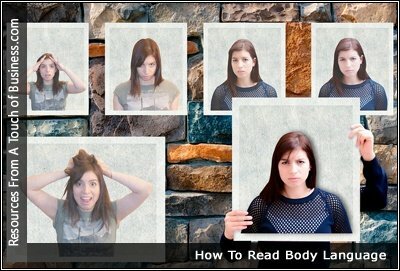 Why Is It Important To Read Body Language? Body language is a part of communication that very few actually study yet it makes up most of what we use to communicate and is generally much more accurate a judge of meaning than are the words we use. Not long ago, we talked about the different hand gestures used by Italians and Brazilians when they communicate. It’s a well-known fact: many people from Italy, Brazil, France, even the United States and England use their hands during conversation.